We experienced the birth of a new day on March 11, 2011. A day full of loss and sadness. The English language includes a certain prefix, "re". This prefix conveys the meaning of "doing over again." I believe that we need to do now is to re-think, re-consider, re-envision, and re-build. 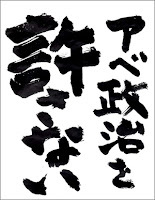 To borrow the words of the title of one of Taeko Kansha's works, "as long as there is still time" (Japanese title: Mada Maniaunonara) (Publisher: Jiyusha). We need to boldly ask ourselves again how to fix our society, a society of disparities, a society governed by the law of the jungle, a society divided between the haves and the have-nots, a society that grades people as inferior or superior. As long as there is still time. We need to reconsider nuclear power plants, which so much worsened the unprecedented natural disaster Japan suffered on March 11, 2011. We ask that the 10 reactors of the Fukushima I and II Nuclear Power Plants be decommissioned immediately. Even if we had not experienced a giant earthquake and a giant tsunami as we did, nuclear power plants should never have been allowed on our earthquake-prone archipelago. It goes without saying that assistance to the victims is the priority now, but now that the "safety myth" has completely collapsed, I believe that we must learn from this catastrophe and strive to rebuild the way we live to be sustainable, true, and safe, and that this is "our responsibility and our right" as citizens. Even in the absence of natural disasters, aging nuclear power plants are a danger. Even new nuclear power plants are dangerous. Those who held such way of thinking to be "non-scientific" promoted nuclear power. They tell us that nuclear power is economical, clean, and does not cause CO2 emissions. Even though CO2 is emitted from the moment uranium is mined. The result is the "now" we are currently in. In all ages, in all societies, it is those in power who have been touting "absolutes," and every time it is citizens who have suffered the most when the "myth of the absolute" has collapsed. I am truly grateful to all those workers toiling at the damaged nuclear reactors continuously spewing dangerous radioactive substances. I cannot begin to imagine how worried their families must be. However, they should not have to be there in the first place. Nobody ought to be made to perform such life endangering work. In truth, all these workers never ought have become "heroes." One of our fellows who shared with us the same aspirations had been engaged in organic farming in Fukushima for many years and naturally planned on going on producing wonderful, marvelous vegetables, but he killed himself. He who more than anyone else conversed with the earth likely realized that the earth was no longer capable of "conversing." Let us pray for the "life" of all things. And yet at the same time, realize that just praying will not change society. Let us think about the concept, attitude, and practice of "re", now, here, you and me. Ever since the nuclear accident at Three Miles Island, we have been working on modest activities to get rid of nuclear power plants through screenings and the "Cooyon" childcare magazine we have been editing. Over the past few years, as we advanced in age, our number has grown smaller. I who am writing this am 66 years old. Even though I don't have the words to fully express this, I really feel that I have come a long way, lived and been made to live through a lot up to this point. No matter what happens, I am prepared to face it. I feel like shouting, "Never again should we go through such a catastrophe!" Japan has 54 nuclear power plants. Do we have no choice but to forever worry about "where next?" while we fall in love, bring children into this world, raise them, and care for and nurse our elders? Do we have to call this "normal"? In Germany, 250,000 people got together to demonstrate against nuclear power. Again, let us spare no effort on what needs to be done at present, while also carefully considering our course.